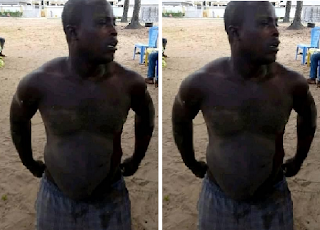 A middle aged man has been paraded in front of elders for allegedly sleeping with his 13-year old daughter. The man simply identified as Yerin from Opuedebubor Community in Gbaramatu Kingdom in Warri South West Local Government Area of Delta State was allegedly caught in the act. He was then paraded before the elders who will discipline him accordingly.